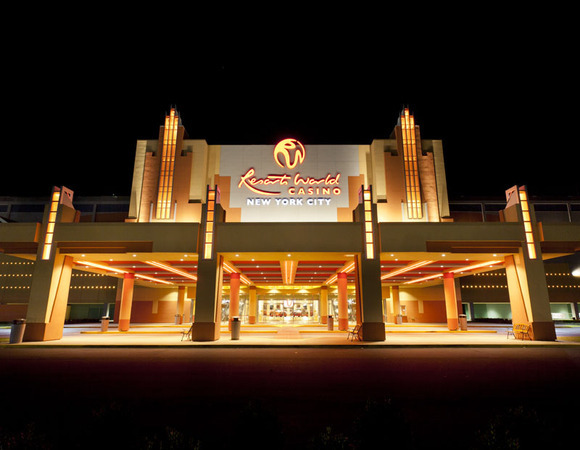 ELKHART, Indiana - New York now has a new world-class casino: Resorts World, the first entertainment destination of its kind located within the five boroughs. Resorts World boasts more than 2,200 slot machines and assorted electronic table games, numerous restaurants and entertainment facilities - and a casino-wide networked audio system featuring more than 130 BSS Audio devices, 50 Crown CTs Series amplifiers and hundreds of JBL loudspeakers. Commercial and residential systems contractor The Integration Factory of Rockledge, FL handled the installation of the system, which is used for background music, paging and announcements. The system is built around four BSS Audio Soundweb London BLU-800 Signal Processors, four BLU-320 I/O Expanders, 10 BLU-32 I/O Expanders, nine BLU-80 Signal Processors (all with CobraNet(tm)), eight BLU-8v2 Programmable Zone Controllers, 39 Analog Input Cards, 49 Analog Output Cards, a Digital Input Card and two Digital Output Cards. Amplification is provided by 34 Crown CTs 4200A and 17 CTs 1200 power amplifiers. "We chose the Soundweb London components because of their networking capabilities, proven performance in many previous installations and their ability to interface with the Crown amps via HiQnet System Architect(tm). The Soundweb London components also operate perfectly with the control system the client wanted, and the HiQnet London Architect drag-and-drop programming interface really speeds up the setup and configuration process," said Carlos Gonzalez, Senior Manager, The Integration Factory. The system employs an extensive complement of JBL loudspeakers including 428 Control(r) Contractor 26C/T and 410 Control 226C/T in-ceiling speakers, 22 Control 47L/P low-profile in-ceiling models, 108 Control 67P/T pendant speakers and a pair of LSR2328P monitors. "In a system as complex as this one, we knew we had to have components that worked together seamlessly and flawlessly," added Gonzalez. "There are more than 36 zones in the property." "The Crown amplifiers provide the best value and reliability of any amplifiers I know," Gonzalez continued, "and they're ideal for fixed installations like Resorts World because of their easy integration with HiQnet and CobraNet, which provides comprehensive control and monitoring capabilities and the ability to send digital audio directly over the network to the amplifiers. Let's not forget that they also deliver outstanding sound." For more information about The Integration Factory please visit www.theintegrationfactory.net.